This dinosaur sculpture replicates the fossil bones of the extinct Velociraptor that once roamed the Jurassic World. Although the Velociraptor became extinct more than 71 million years ago, we're privileged to have a museum-quality replica statue artifact of the rapror's skull. 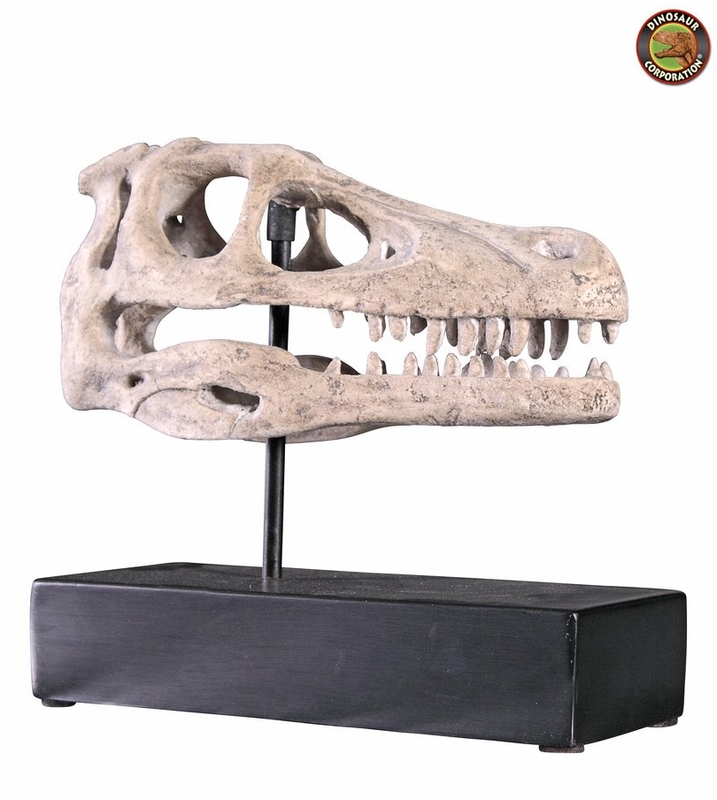 Prehistoric sculpture is cast in quality designer resin, finished to replicate ancient fossilized bone, and is displayed atop a fine museum mount. This large-scale, display-quality sculpture transforms any home bar, entertainment area or recreation room into something truly magnificent!